Have you been looking for a getaway for a great price- then look no further! 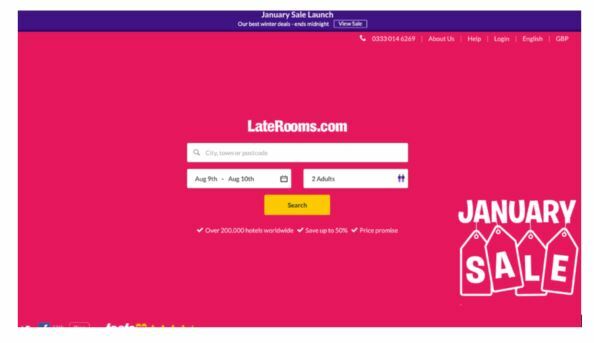 Laterooms January Sale starts Wednesday 31st January offering 30% off selected properties- Hurry don’t miss out on this fantastic 24 hour offer! We wanted to let you know of some of the recent changes on the Boots programme. We have been reviewing our commission structure and in order to make cashback more user friendly and streamlined Boots have decided to introduce a flat rate for all commissions driven through cashback sites. 2% New customers and Existing Customers on all categories. However we will still be able to offer CPA increases in return for exposure. This will be run as a 1 month trial and will be back in touch should these rates change off the back off post trial analysis. We wanted to let you know on 3rd February Boots will be having a scheduled down time on site to allow for site updates. The down time is due to take place through the night and last for approx. 12-15 Hours. During this time please be mindful of any communications you send out with Boots featured and please note that any onsite links will not direct through to the Boots site for this period. There is no further action required and we will be sure to let you know should any of the planned works change. Please let us know should you have any further questions on this. 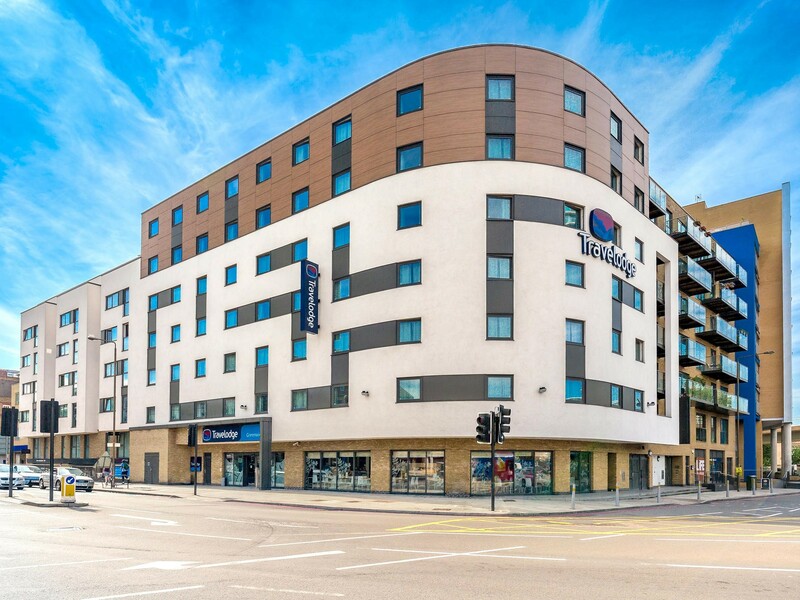 Laterooms 24 hour Travelodge sale! We have just updated our media codes exclusions list. Please ensure you take the time to look over our latest additions to this list of product exclusions and ensure you are not pushing any of these products in conjunctions with a media code. This list can be found on the Boots interface, under the ‘documents’ tab in the overview section. Please ensure you are only promoting media codes that have been shared with via the affiliate channel. The UK Boots Affiliate Team. Happy Friday & hope you've all had a good week? Please see our ameneded offers for this week on a great range of baby lines and 3 for 2! Hope you're well! Boots have got some fantastic offers across our Baby and 3 for 2! Hope you're well & having a good week? Boots has got some great offers running this week on baby products and a great range of 3 for 2 offers! Littlewoods Fashion & Footwear event 48 hours! An additional 30% off selected fashion & footwear lines for 48 hours! Please find all the details and links below. Hurry sale starts today 9am and must end Friday 19th January at 9am! Up to 50% off selected Home & Furniture, Plus an extra 10% off selected homewares! We hope you enjoyed this weeks installation of Littlewood's newsletter. 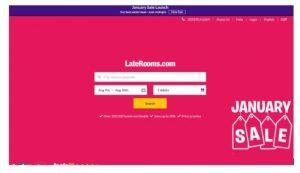 Laterooms 24 hour January sale starts TOMORROW! Hope you’re well & had a great weekend! Latreooms January sale starts tomorrow Tuesday 16th January ! 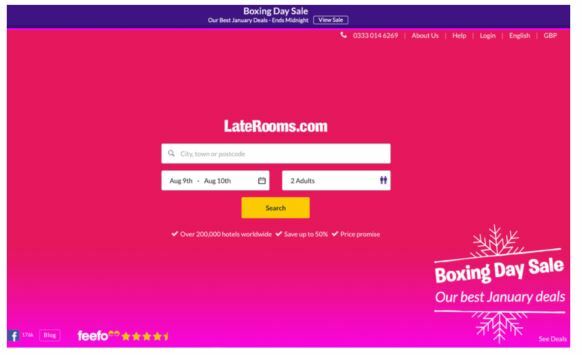 With a fantastic 40% off 2 night offers! The hotels will be the same as what will be featured on the current Q hotels page, but I will check and update prices Monday before the sale goes live. Please can all channels link to - http://www.awin1.com/cread.php?awinmid=3615&awinaffid=!!!id!!!&clickref=&p=http%3A%2F%2Fimages.laterooms.com%2Fen%2Fpromo%2Fjanuary-sale-hotels.html . The page is currently a holding page, but will update at midnight on the day. Please send these offer out to publishers & if you have any questions please contact uk-boots@awin.com .Additionally please ensure that any imagery or creative that is used is only taken from the http://www.boots.com/ website. We are ensuring that the January blues are kept at bay with an Extra 10% off ALL Home sale items. There is also up to 70% Off Fashion Sale items. This is one of our strongest offers of the year so make sure you start promoting now, while there is still time! Extra 10% off the first order for any new customers who sign up to receive our emails -Banners are available from the affiliate interface. Feel free to get in touch if you have any questions or suggestions for placements or promotions. Hope you all had a lovely Christmas & are looking forward to 2018! 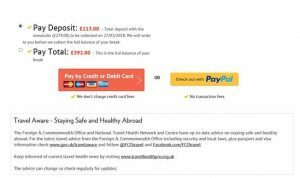 We would like to inform you that the Super Break website now offers customers the option to pay a deposit on a break if booking outside of 12 weeks. This is great news for our customers and will hopefully encourage more bookings for 2018! Below is a screenshot of what the customer would see on the website. 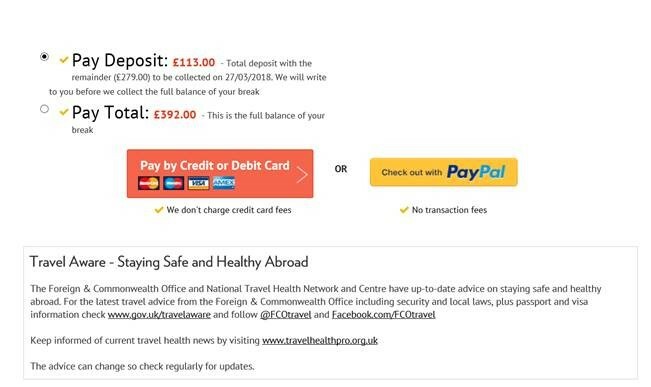 It clearly shows the amount payable upon booking and the balance due date and amount. Please make this aware to customers about the new feature available onsite. Superbreak January Show Of The Month Offer! Hope you all had a lovely Christmas & are looking forward to the New Year! Superbreak has got a fantastic offer to kick start your New Year with a bang! We are delighted to confirm that the Superbreak Show of the Month for January 2018 is top-seller Wicked. The UK Superbreak Affiliate Team. Hope you're all well & had a fantastic Christmas! Just 24 hours left of the Big 5 Day Event! Additionally there is also a new selection of banners available to download from the Awin interface as of today. Save Up To 60% Off All Experience DaysPlease keep an eye out for upcoming communications with further information. We hope you enjoyed this weeks installation of Very's newsletter.Happy promoting! Copyright © 2016 Awin, All rights reserved. Hope you’re well & looking forward to Christmas! 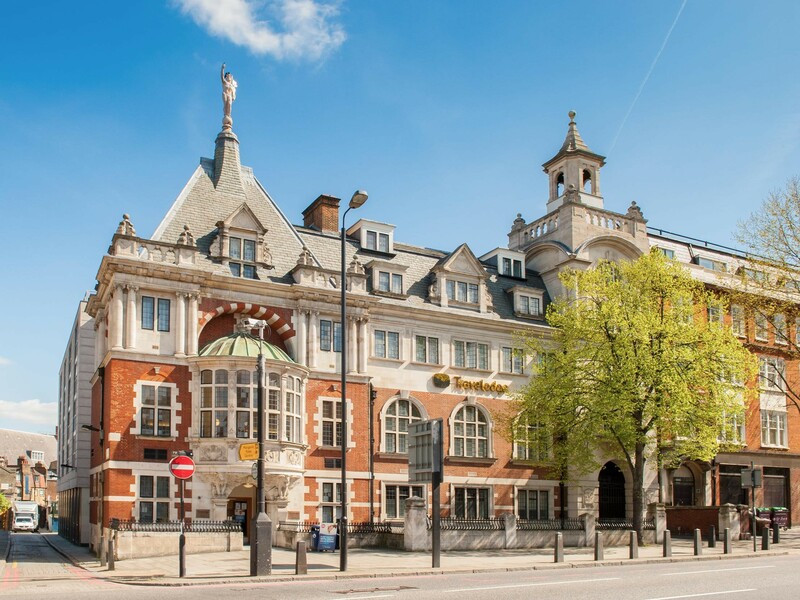 Superbreak has got some fantastic offers to kick start your 2018! Book between 26th December & 31st January 2018 and travel between 2nd January & 31st March 2018 to qualify. Book by 31st January 2018 and travel by 31st March 2018 to qualify. Book a spa break between 26th December and 14th January for travel between 2nd January and 31st March and receive this free gift. Brand new and exclusive flight breaks to Iceland, Italy, Malta and more! Book your break online from only £49 deposit per person. PLUS book before 14th January to receive a FREE Temple Spa Silent Travel Kit. An ideal romantic destination for Valentine’s Day. Discover the beautiful, medieval town centre. Explore the vibrant and cosmopolitan Dutch capital. Thriller Live – a celebration Michael Jackson’s chart-topping floor fillers! Visit The Louvre, The Eiffel Tower or watch the world go from a pavement café. Perfect location for a winter sun getaway. Soak up some winter sun in the Mediterranean. Escape to the Canary Islands for some well-earned winter sun! Please send these offers out to publishers, and if you have any questions please don’t hesitate to ask. Hope you’re well & looking forward to Christmas? Boxing day sales has all been set & would be great for publishers to support this campaign and if there is any additional exposure please let us know and we can book it in. Please see below the plans for Gold Events over the festive period. This will include a homepage takeover and will be supported through email. The homepage takeover will be live for 24 hours from 12.01am until 11.59pm. Boots.co.uk Christmas eve- vital information. We wanted to let you know on 24th Dec Boots will be having a scheduled down time on site to allow for site updates. The down time is due to be from 1pm- 4pm, so during this time please do not send out any communications with Boots featured and please note that any onsite links will not direct through to the Boots site for this short period. Many thanks and look forward to our continued partnership into the New Year. Jack Wills up to 50% off Selected Lines! there is now up to 50% off selected lines until the 24th December! Don't miss out on this fabulous offer for the festive season! A large selection of banners to support the sale can be found in the "My Creative" section of AWIN's interface as of today.